Do you remember the first time you fell in love? 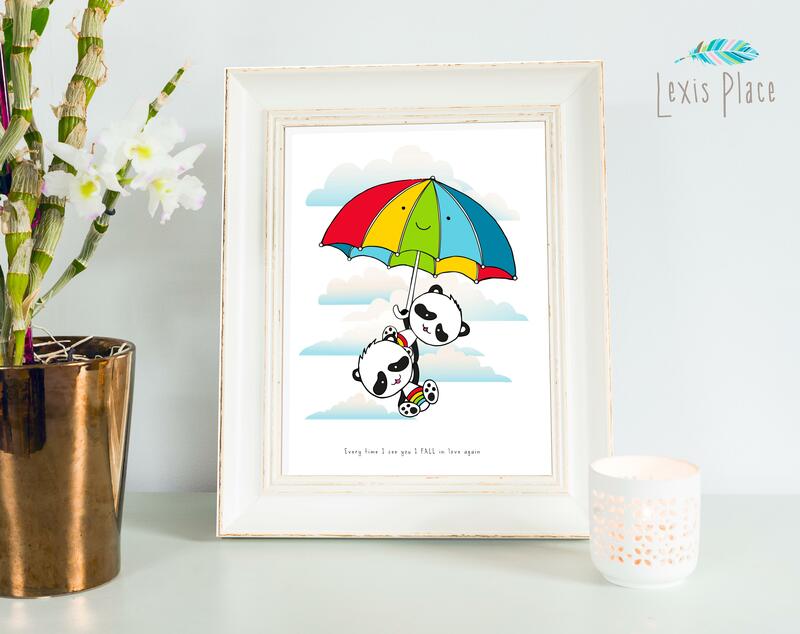 These cute and fun panda friends are perfect for any gender, age or loving reason. Beautifully printed on fine art 'fibre matte' A4 card, 300gsm, illustrated by Vicky at Lexis Place. Sold unframed. Your print will be sent to you carefully packaged in a hard backed envelope to allow you to choose your own frame. 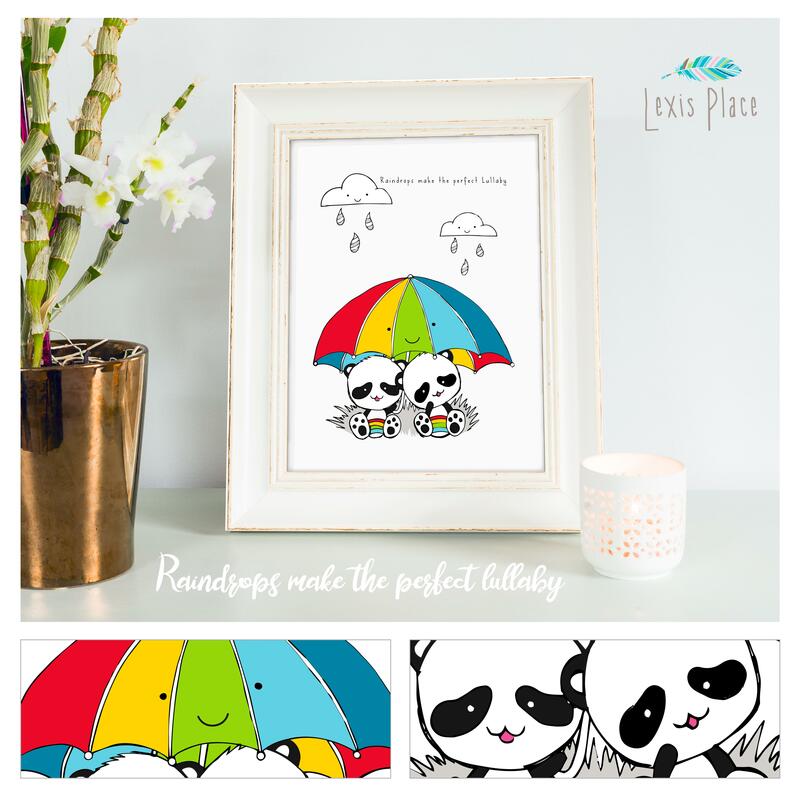 Bundle of 3 also available (including all 3 different Lexis Place panda prints). 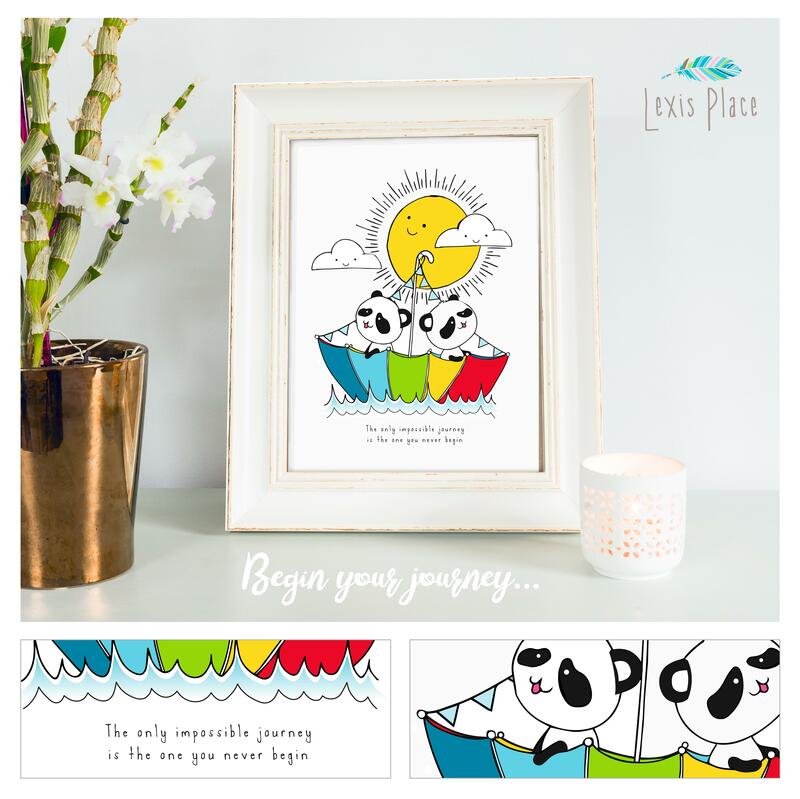 "Based in beautiful Cornwall, Lexis Place hope to bring a smile with every unique creation made. Vicky trained as a graphic designer and splits her days between creating logos, branding, character illustration and creating whimsical illustrations. Lexis Place was named after their daughter Lexi, who is now 8 and regularly pops in to help with packing. Vicky also sells handmade gifts, no two days are ever the same."